Cataracts are a clouding of the eye’s lens, gradually making it more and more difficult to see. Fortunately, for most patients laser cataract surgery results in vision that’s even better than before. Here we’ll briefly describe the causes, signs and symptoms before going over the key things everyone should know about cataract surgery. Simply put, they’re part of the aging process. Although a small number of people may develop cataracts as a result of injury or untreated illnesses (such as diabetes) at any age, most people will encounter this common problem after age 55. And most people eventually do develop some degree of cataracts. The natural proteins in your eyes’ lenses clump together over time, eventually causing a whitish cloudy area. They usually start out very small then slowly grow, reducing your ability to see clearly. It’s very likely that UV (ultraviolet) light accelerates this process, so we recommend that everyone wear sunglasses or some type of hat that shades their eyes when out in bright sunlight. As always, see an optometrist if you notice any changes in your vision. With regular eye exams it’s likely that your optometrist will discover a cataract before you fully recognize that there’s a problem. Many people initially think that their vision is just a bit blurred that new glasses are all they will need to restore their visual acuity. You may notice other progressive vision loss as well. Early cataract symptoms include excessive glare from the sun, from headlights in oncoming traffic, and from indoor lights. You may also notice that colors seem a bit less intense or that everything seems a bit yellowish. More rarely you may see ghost images or have double vision. Sometimes the changes are so gradual that you don’t really notice them. In fact, so long as the symptoms don’t pose any problems to you there’s no urgent need for treatment. But if you value your independence or need to drive for any reason cataract surgery don’t delay treatment. Need A Cataract Exam? Schedule Today! New glasses and brighter reading light may be enough for a while. 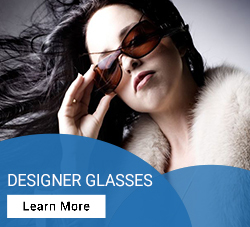 But with visually significant cataracts, surgery will be necessary to restore good vision. We’re not talking about going to the hospital for several days, or even overnight. It’s among the most frequently performed surgeries in the world, so every step has been thoroughly refined. There are three basic types. All are brief outpatient procedures to remove the clouded lens and insert a synthetic intraocular lens (IOL). The IOL is permanent and requires no special care. There are several IOL options, and your optometrist will discuss them in terms of your particular conditions. 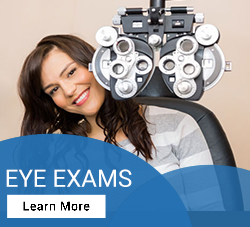 Each eye is treated at a separate appointment. In one procedure a tiny ultrasonic probe removes the cataract. For advanced cataracts the lens may be directly removed all in one piece. In the third alternative, “refractive laser assisted cataract surgery” (more involved than LASIK surgery) may be used. The laser cataract surgery itself is only about 10 minutes but you’ll be at a clinic for roughly 2 hours for preparation and recovery after surgery. You’ll typically return the next day for a checkup, and other than a few simple precautions to protect the eye you’re back to your normal activities. 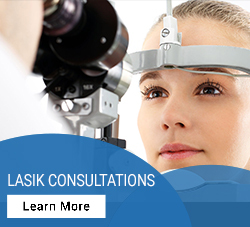 Complications that threaten sight are very rare, but you will have follow-up visits. Patients may experience increased eye pressure, but that’s typically temporary and treated with eye drops. The best news is that some 90% of patients treated by a cataract surgeon end up with between 20/20 and 20/40 vision and so rarely need to wear contacts or glasses.